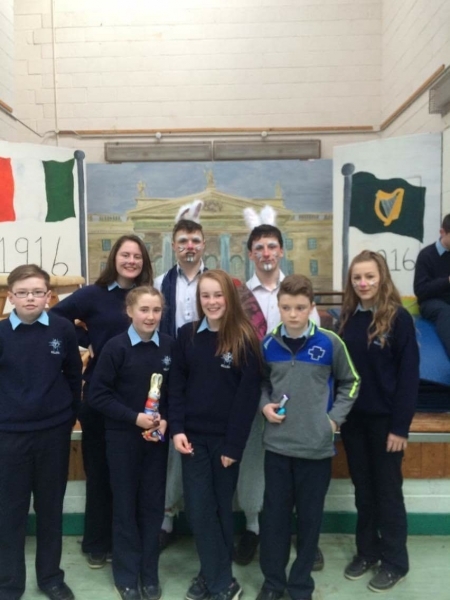 In the afternoon of the final day of school before Easter holidays, 16th March, all 1st Year students were treated to an Easter egg hunt organised by Ms.McNeill and transition year students. This has become an annual tradition within the school and is held in high regard. As with any event, preparation played a vital role in making the Easter egg hunt a success. With the helpful guidance from Ms.McNeill, we the Transition Year students began planning this day. There were many jobs to be undertaken and so we invited the TY French students to help us organise this event. Teamwork and co-operation between us Ty students prevented any mistakes on the day. Each student, in pairs or individually were given a task to complete. These ranged from; getting a list of all the 1st years names, organising teams, asking for permission to have the Easter Egg Hunt, composing suitable questions for the table quiz, pricing eggs and various other jobs. In the afternoon, the first year students were brought to the hall where they met their team and transition year team leader which had all been selected at random by the TY’s. This was a fantastic way of allowing both senior and junior students in the school communicate. Firstly was the table quiz which consisted of an Irish,French and German round. Each round consisted of 10 questions based on the culture, traditions, geography and also the language of the three countries. During the final round of the quiz the team leaders left the gym and hid the Easter eggs around the school grounds. After the table quiz Ty leaders brought their team to the chosen area in which they had hidden their basket of Easter Eggs. Each egg was placed back in the basket. We then returned to the gym and shared the Easter eggs among our teams. 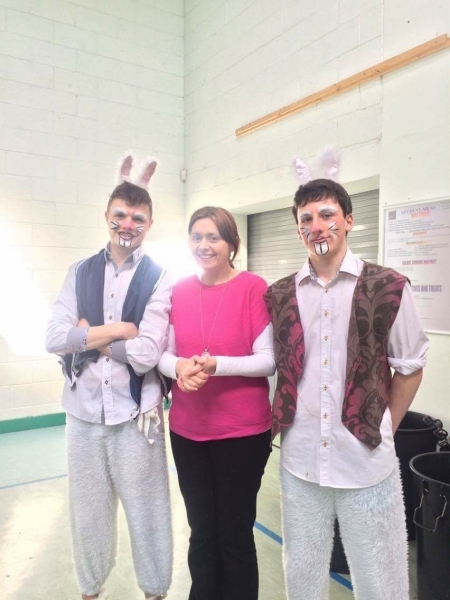 The Easter egg hunt ended with all first years having to search for 2 transition year students, Jack Watkins and Byran Mullen, dressed as Easter bunnies. The first two people who found the Easter bunnies were given a giant Easter egg. This was a very enjoyable way to start our Easter holidays. This would not have been as successful without the co-operation and willingness of the 1st years to participate.